Early this past December, CLACS and what moves you? hosted a series of two K-12 Educator Workshops which focused on two films from the Indocumentales / Undocumentaries US-Mexico Film Series. The December 5th event included a screening of Farmingville; and the December 14th workshop focused on the film Which Way Home. The events featured an introduction to CLACS resources for educators about Mexico- U.S. issues, followed by a film screening. Educators then had the opportunity to discuss the issues addressed in the film with colleagues and what moves you? facilitators. These workshops opened a space for educators to discuss current events, and how film can be used to teach Mexico-U.S. relations in the classroom. Farmingville, a 2004 film by Carlos Sandoval and Catherine Tambini, documents the attempted murders of two Mexican day-laborers in Long Island. The movie features first-hand accounts from residents, day-laborers and activists, and underscores the continuing relevance of undocumented immigrant issues. Which Way Home, a 2009 film by Rebecca Cammisa, focuses on immigrant children from Honduras, El Salvador and Mexico, who must overcome tremendous odds in their journey to the U.S. These are two of many K-12 events that are part of the CLACS K-12 Outreach Program. 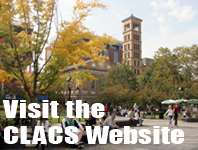 Learn more about CLACS K-12 Outreach on the CLACS website. You can also sign-up to our K-12 Outreach email list, which will send you notices only about K-12 educator-related events and programs. 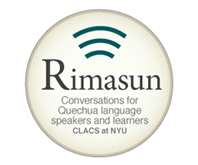 This entry was posted in K-12 Outreach and Education and tagged CLACS, human rights, immigration, intercultural bilingual education, Mexico, NYC, students, workshop. Bookmark the permalink.